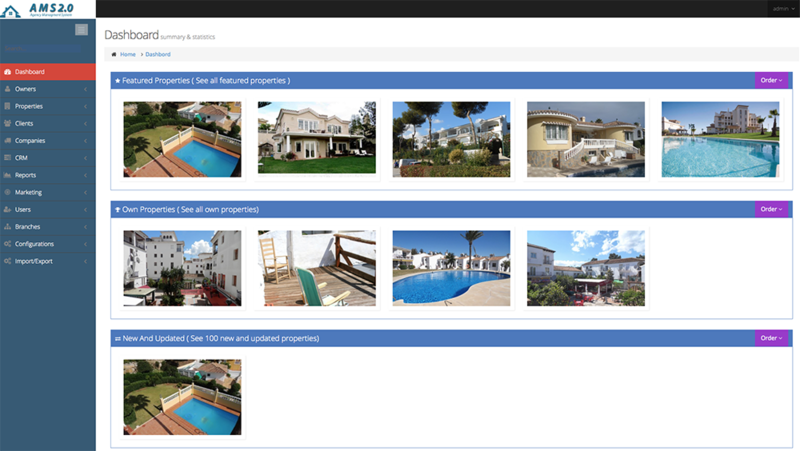 OptimaSit.com delivers as one of the key Real Estate Marketing & Technologies players on Spain’s Costa del Sol, its next version of the Agency Management System (AMS 2.0). AMS 2.0 is now generally available which means that also your Agency can benefit from the customised solution to better manage your Agency, your properties, your staff, and your marketing driving you through a faster and more transparent Lead to Sale process. With the market turning back into fast gear, Real Estate Agencies that are serious about their future, simply NEED this type of solution. Realtime knowledge of every element in your business is a must, combined with the latest marketing tools to leap ahead of your competition: welcome to your new world of AMS 2.0. AMS 2.0 philosophy is clear: deliver transparent agency-specific processes & marketing tools using the latest and fastest technologies. Release 2 definitively delivers on its promises. Initial clients’ feedback for example is: “with AMS 2.0 OptimaSit.com delivered a solution that outperforms its previous release by 100+%“. Adapted for all devices: the main functions especially, the ones that make sense, are now also mobile-friendly so you can access and use AMS 2.0 on the go…when and where you need it. Open AMS 2.0 in any browser same way you do on a PC. Featured properties easy select/unselect: grey star is “not featured” and gold star is “featured” – depending on your web logic, featured properties will instantly appear/disappear. Showing properties on your Website: it couldn’t be easier to ‘click’ and show/hide ANY property from your website with the new method of clicking the checkbox. Colour-coding shows you in an instant whether a property shows or doesn’t show on your site. We even made it clear that if for whatever reason a property in the third party property sharing system is made unavailable by another agent for example, that it’s unavailable in your central AMS as well. You control the green and yellow checkboxes by a simple click. The red cross is due to a property simply not being available and cannot be shown on your website. Enhanced Task Management: Task Types make it not only clearer through icons what type of activity a Task has, it also allows for reporting and graphical representation (graphs on dashboard). Traffic lights add status visibility and icons show the Types of Tasks. 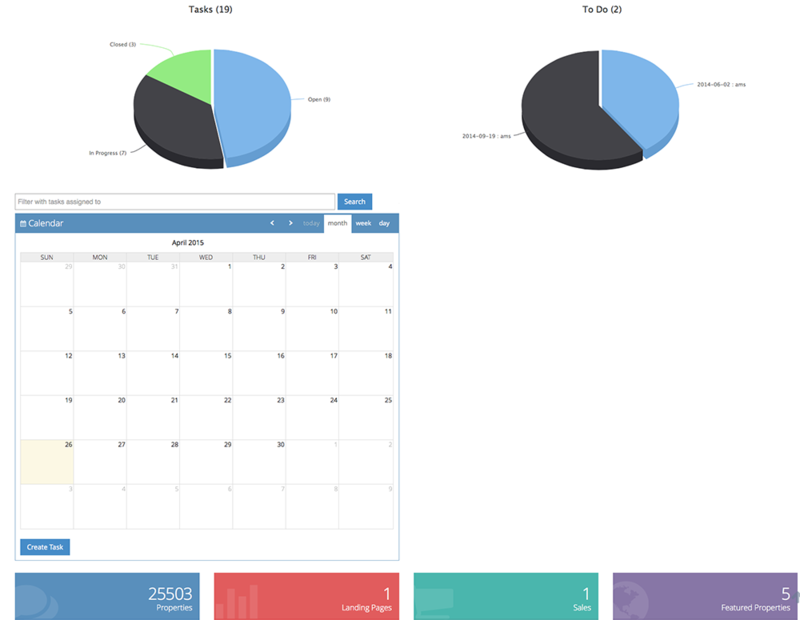 Dashboard makeover: The Dashboard, a quick view of your business, is maybe the most drastic visual makeover of the entire AMS. You can see the most important elements in one time. We also added Graphs with clickthroughs to individual documents. Check it out! Contact OptimaSit.com for further information and for a non-obligations demonstration: +34 952 770 306 or via ams@optimasit.com.